Living rooms and bedrooms are both major parts of any residential structure. 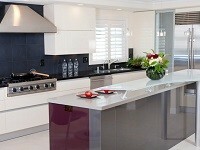 It is not only about adding aesthetic to these parts but make them comfortable in various aspects. Talking about aesthetics and comfort, concrete tiles are the latest trend when it comes to flooring options for living room and bedrooms. Concrete tile floors have proven to be much more convenient than the ceramic, porcelain or vinyl tile floors. A concrete tile floor is quite convenient because you are not limited to factory manufactured colors. You can customize the shades to match your specific décor. The color palette offered by concrete tile manufacturers ranges from soft earthy shades to bright and bold ones. Moreover, you can break away from the trend of uniform color and order a blend of your own choice. People are now more comfortable with installing a concrete tile floor due to its budget friendliness. A concrete tile floor can be installed almost on all budgets. Other options like ceramic and vinyl also come at affordable prices but customers are more likely to compromise on quality. With a concrete tile floor, you can get a better quality and not break your budget limits at the same time. With a concrete tile floor, you can have more fun with creativity. Instead of sticking to standard-sized squares, you can combine different sizes. Moreover, you can add more character to the floor by installing cutouts, imprinted patterns, 3D sculptural designs and more. 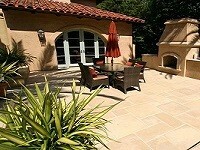 How often you need to clean the concrete tiles depends on where and how they have been installed. Concrete flooring does require regular cleaning but it can be accomplished without extra effort. There are several cleaning methods that you can use. On the other hand, you may want to acquire resealing at some time to maintain the quality and appearance of the concrete floors. 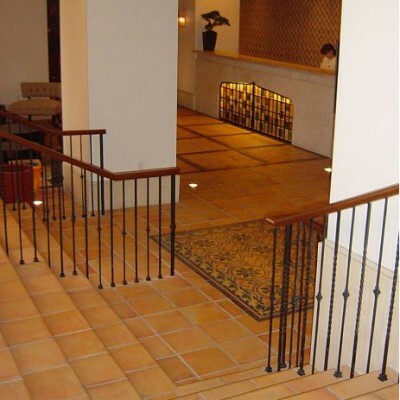 Due to high versatility, concrete flooring is great for decorative aspect. The living room is a place where you are most likely to entertain your family and friend or perhaps spend some relaxing time yourself. Therefore, you can leave a lasting impression on your guests with your stunningly decorate living room floor. With so many color and design options, you can easily match the concrete flooring with the interiors of the living room. A bedroom is your sanctuary after a long and tiring day. While you want to come back to comfort, it can add more to your stress relieving routine if your bedroom meets your aesthetic standards. It is always nice to be surrounded by beautiful decoration. You can add a special touch your bedroom with concrete flooring. Once again, you can match the bedroom flooring with the decorative theme of your bedroom to create a nice ambience. For concrete floors in your living room and bedroom flooring, Westside Tile and Stone offer a quality service at market competitive prices. Concrete tiles for the living room and bedroom flooring are the perfect options in various parts of Southern California including Los Angeles. Customers in these regions are always seeking the Saltillo look for their interiors but want durability at the same time. Concrete tiles, which are a mixture of cement and other aggregates, provide the best option for floor tile in these regions.